We have worked hard all year long on evaluating our work in kindergarten using our Bubble Gum Rubric. SueBeth and I made this rubric based around Marzano's framework of students and teachers using a rubric to evaluate work. Our school also just purchased a bubble gum machine for students to get a LARGE piece of bubble gum if they score a 4 on the rubric. I just graded our April Math Journals and I am going to have some excited students tomorrow. Here are just a few students that I feel earned a 4 on the bubble gum rubric. I feel their problem solving skills went above and beyond!! 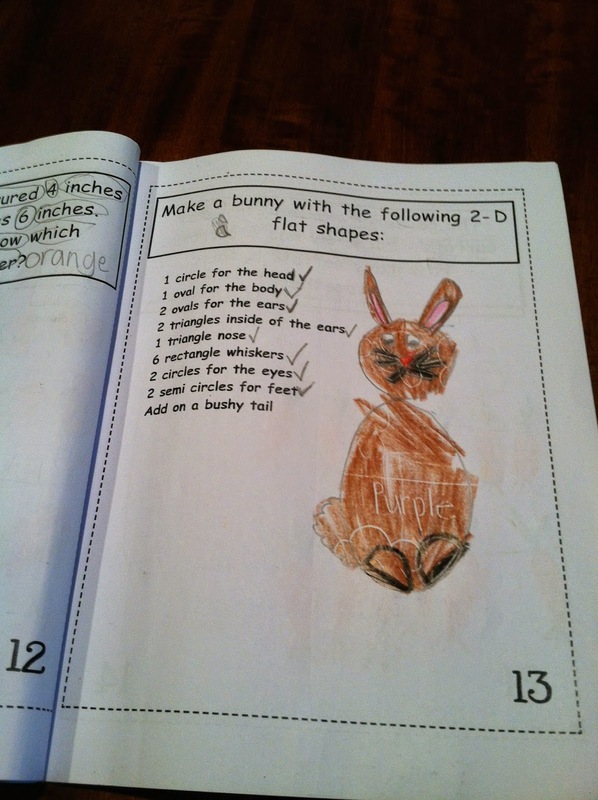 This student read the directions, checked when the task was finished, and followed the directions perfectly. Ignore the word purple that came through on this page because it was a crayon resistant from another page!! Love this students neatness, organization, and going above and beyond by showing 2 ways to solve the problem!!! 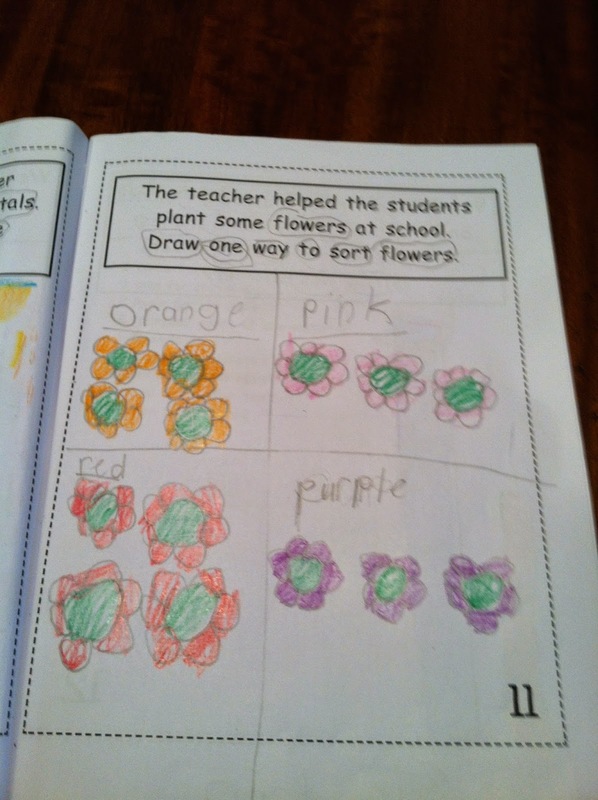 This student showed one way to sort flowers. They not only drew pictures, they labeled them to show how they sorted the objects. They also used our color word wall to assist their spelling!!! This one has to just crack you up!! 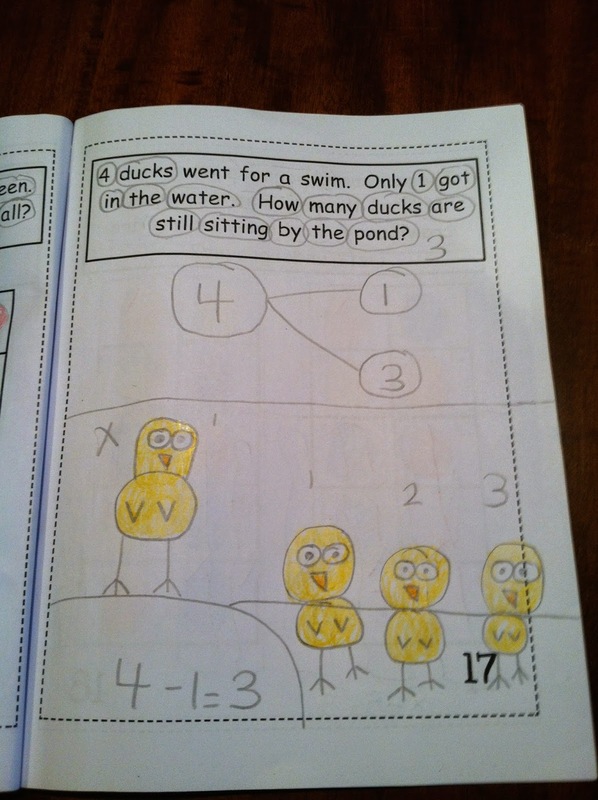 Not only are there 2 ways that the problem was solved, but the bottom picture just made me smile ... showing that only one of the ducks was standing in the water. These April Math journals can also be found in our TPT store. We have created a math journal for all months. 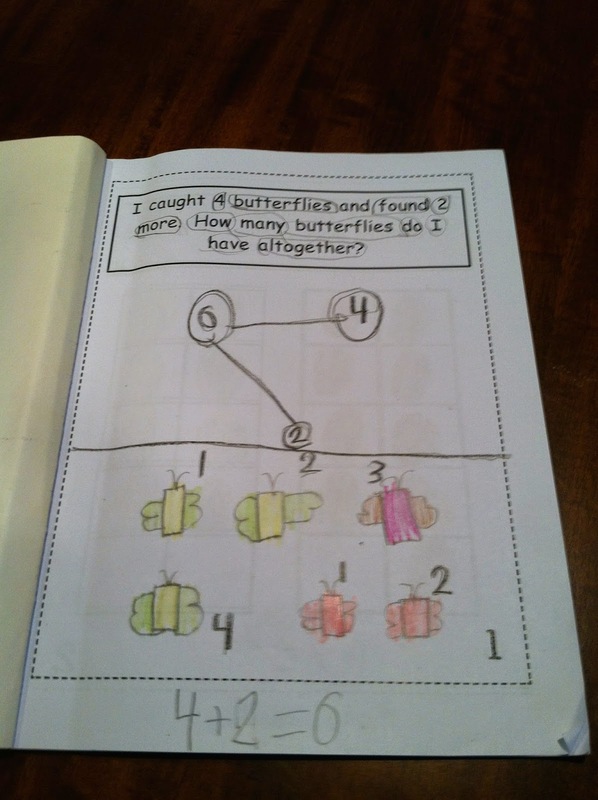 Check out our May Math Journal in our TPT store: May Math Journal. All of our math journals can just be popped into the copier, stapled, and then they are ready to go for 20 days!!! We have also designed stamps through Vistaprint that I use to show the evaluation of their work. I also have one that they do a self evaluation and then I put my evaluation. I can truly say they are pretty much on target of what score their work receives using the bubble gum rubric. 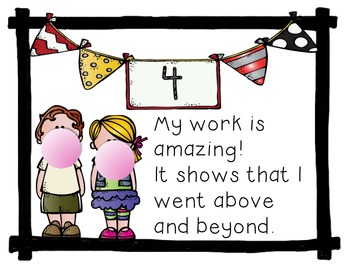 Our Bubble Gum Rubric is on sale on our TPT store and works at any grade level and any subject. Our school adopted it school wide for great consistency throughout our building. Check it out at our store: Bubble Gum Rubric . Keeping checking back as we will share more pictures, products, and student samples of evaluating student work using our rubric based around Marzano's evaluation framework!! I am looking for math journals for my students to use! I think this is a great idea! I love the idea of it being as creative as it is and that they have an actual bubble gum machine that the kids can pick out of. I think this is a great incentive and motivation for students to work harder on their work to get that piece of gum. I also love the fact that the school adopted this idea to help improve consistency. I think this is a great idea and wish that in the ideal world that all schools would adopt the same principles that will work effectively.